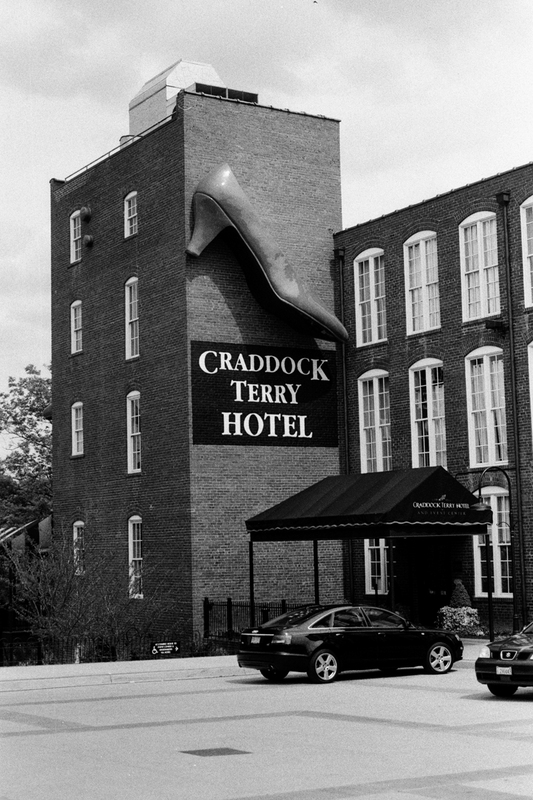 Nikon FE2 Nikkor 35-105mm f3.5/4.5 AIS ORWO UN54 Adox Adonal 1:50 - Located in a renovated shoe factory, The Craddock Terry Hotel is appropriately adorned with two massive red shoes. This image shows the shoe mounted above the front entrance. There is a matching shoe mounted on the rear of the tower.